How to download the AP SGPCET 2019 Hall Ticket? 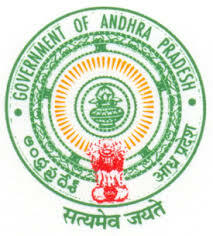 AP Social Welfare Residential Educational Institutions Society has released notification of AP SGPCET 2019 for admission into Class V in all APSWR Educational Institutions, AP Tribal Welfare Residential Educational Institutions and MJPAP Backward Classes Welfare Residential Educational Institutions across the State. Candidates who are interested and eligible can fill their Application Form. Candidates can check the complete information of AP SGPCET 2017 APSWREIS/APTWREI 5th Class Admission like application process, eligibility criteria, selection method etc through this page below. Applications are invited for admission into Class V in all APSWR Educational Institutions, AP Tribal Welfare Residential Educational Institutions and MJPAP Backward Classes Welfare Residential Educational Institutions across the State. SC / ST students should have born between 01.09.2004 to 08.2008. OC / BC / SC-Converted Christians (BC-C) should have born between 01.09.2006 to 08.2008. During the year 2016-17 candidates must be studying 4th class in a Government school or in a school recognized by Govt .of P.
The students are eligible to apply for a school in their native district only. The Native District of the candidate means the place where the student studied for a period of two years in Class 3rd and/or 4th e. during 2015-16 & 2016-17 in schools recognized by Govt.of A.P. or native place as certified by the competent authority. ii) 3% of total seats are reserved for Physically Challenged children.The left over vacancies in any category will be filled by SC Candidates as per merit. SC/ST should have born between 01.09.2004 and 08.2008. During the year 2016-17 candidates must be studying 4th class in a Government school or in a school recognized by Govt.of P.
The students are eligible to apply for a school in their native district only. The Native District of the candidate means the place where the student studied for a period of two years in Class 3rd and/or 4th e. during 2015-16 & 2016-17 or native place as certified by the competent authority. A total No.of 3,360 seats are available in V Class of (39) MJPAP Backward Classes Welfare Residential Schools throughout the State of Andhra Pradesh. The institution-wise seats available for Boys & Girls are shown in the Annexure-C. In certain schools, the students of other districts also eligible for . The reservation pattern will be EBC/OC-2%, BC-A -20%, BC-B -28%, BC-C – 3%, BC-D -19%, BC-E -4%, SC – 15%, ST-6%, orphans – 3%. BC / EBC and OC students should have born between 01.09.2006 to 31.08.2008. The students are eligible to apply for a school in their native district only. The Native District of the candidate means the place where the student studied for a period of two years in Class 3rd and/or 4th e. during 2015-16 & 2016- 17 in schools recognized by Govt.of A.P. or native place as certified by the competent authority. All the students who are seeking admission into class V in APSWR/APTWR/MJPAPBCWR Institutions for the year 2017-18 should apply online through any internet center or at help desk of any APSWR Institution/APTWR Institution/MJPAPBCWR Institution from 03.2017 to 07.04.2017. The students may choose any one of the examination center as per their convenience in the . Hall Ticket for AP SGPCET 2017 can be downloaded from the official website of Samkshema Gurukula Patasalala. Candidates who have filled their Application Form on or before the last date are able to download their Admit Card 2017 from here. AP SGPCET 2017 Hall Ticket is also known as AP SGPCET 2017 Admit Card. Get AP SGPCET 2017 Hall Ticket / Admit Card complete information here. Choose the option Download Hall Ticket. Enter the details like Application number and Mobile number.